By Hanmero in New Arrival on 2017-06-27 . Have you been thinking of updating your home decor and adding some spice to it? Well, HANMERO wallpaper can be a great design element to jazz up your home interiors. 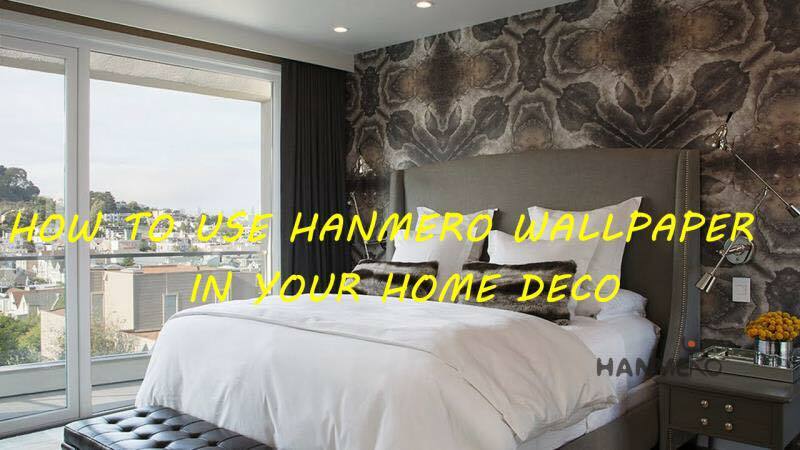 Painting is also a great design prop, but wallpaper goes way beyond with its plethora of colors, patterns, and textures.HANMER wallpaper makes it easy to impart the ‘wow’ factor in a place without spending thousands on costly items such as stones, tiles, etc. It is stylish, can be paired with any decor style, and the removal is almost hassle-free. Revive the plain space of your home with these fresh and creative wallpaper design ideas:Ceiling to floor wallpaper installation is good for creating an impact, but the design idea has become somewhat cliché these days. Instead, select a wall and cover half of it lengthwise with beautiful wallpaper. A kitchen is a good place for applying such a decor style. If you are afraid of the moisture and cooking splatters, apply the wallpaper in a small area away from the stovetop. It will bring dramatic changes to the look of your kitchen.A budget-friendly way to make that similar impact is to use wallpaper swatches. Frame wallpaper pieces in different patterns and colors, and create a fantastic and simple alternative to wall art.Framed wallpaper hung in artwork style is perfect for adding visual energy. Try to mold their edges instead of using actual framesto get exactly the size you need.Just a couple of feet of wallpaper are enough to highlight a particular area. If your fireplace looks drab, put emphasis on it by covering the wall above or surrounding it with wallpaper. A lovely pattern will draw attention and transform the place into a stylish focal point.Wallpaper on the headboard can create an eye-catching style. Go for a customized headboard with two wallpaper patterns for creating a statement in the bedroom. Choose the wallpaper with strong colors and patterns for the center panel and a subtle pattern for the flanking panels.You can also use wallpaper as an alternative to the headboard if the bedroom is small. Place it on the wall behind the bed, anduse molding frame or thin panels around it to make it look like a real headboard.A simple design punch can make a big different in a plain room. You can wrap up small furniture pieces with nicely patterned wallpaper to add a bit more spice to your home decor. For example, wallpaper on the shade of a table lamp will make it more attractive while you can easily spice up a plain table by placing a piece of eye-catching wallpaper directly on top of the table surface.Besides, add pattern to boring open shelves by sticking wallpaper pieces to their backboard. It will add instant style and bring design satisfaction. The upside of such makeovers is you can replace the wallpaper with a new print or pattern whenever you want!No budget-friendly home decoration makeover can beat the luxury that wallpaper can provide. They are perfect for adding beautiful accents to any place. You just have to choose their prints and patterns carefully so that they coordinate to the color and design palettes of your home. HANMERO High-end Design- Cork Wallpaper Collection! HANMERO NEW sample book comes out!! HANMERO new wallpaper accessory– Glue Powder. New Arrival Non-woven Paper 053*10 M Plant Fiber Wallpaper Manufacturer From China.